Gor Mahia’s Brazilian tactician Ze Maria has faulted his players for not playing to instructions in the last two matches which have turned out to be disappointing for Kogalo. “We do a lot of training and I have always insisted on short passes but my players have resorted to the old tradition of long passes whenever they feel overwhelmed by opponents. This is not working for us and I insist they play according to my instructions,” the disappointed former Brazilian international told Ramogi FM. Some analysts have attributed Gor Mahia’s woes to the absence of Khalid Aucho, with neither Amos Nondi nor Wendo nor Kahata able to fill his shoes. However Ze Maria has played down Aucho’s absence and vows that the team will be ready for the next match. “Amos Nondi and Francis Kahata are equally good midfielders and the absence of Aucho is rarely felt in the club. I just need to fine tune some areas especially in midfield and things will be well,” he added. “Why are fans not talking about losses by other clubs? This is a game of football where results will always vary. You can win, draw or loss, but the game will retain its name. We are a big club , yes but at times we need to accept results since all teams are fighting to win against big teams,” said Jerry Jagoal to Ramogi FM. With Harun Shakava missing, Gor Mahia’s lack of depth in central defence was ruthlessly exposed with Luke Ochieng having a torrid time trying to mark Lamine Diallo in the first half. Were it not for a string of saves by Boniface Oluoch, Ushuru would have scored. In the second half however, Ushuru resorted to time wasting and negative football as they seemed content with a draw. Coach Tom Ogweno faulted Ushuru for their negative display. “It is very unfortunate that we still have teams that employ such tactics. Football is a game to enjoy not for players to lie on the pitch feigning injuries,” “Such antics are a disgrace to Kenyan football. Anyway, we just have to accept the result and focus on our next match.” Ogweno told the Standard. Thank you Jerry. My people please understand. Lets also respect the coach/technical bench and let them do their work without distraction. Some of us just have to say something, others have something to say. Where in your opinion do you fall? And as far as am concerned i like reading bloggers’ varied opinions on Gor Mahia affairs which is the main purpose of this site, i think! First culprit of the sleeping/lying down syndrome was Blackberry in the early stages of the game but was ignored until he recovered by himself. Mr.Coach short passes requires exequisite ball control (i.e kill the ball with first/one touch think Mieno) SOMETHING WHICH MOST OUR PLAYERS LACK AND I DOUBT IF IT CAN BE TAUGHT AT THIS SENIOR LEVEL. Also note that Ushuru countered this by 3/4 players quickly closing down our player/space with the ball hence our no show particularly in the first half. That was smart tactics by Kenyatta expect more.How will Ze Maria resolve this? Ogweno you’ve been in the premier league long enough to know its a common tactic against Ko’galo.As for Jagoal I see you are part of the YES. For you a draw is ok, hehehe that’s why you let in easy goals, but for Jausenge it kills him when he doesn’t score in a game, ATTITUDE IS EVERTHING. ok…even with the short passes we are advocating for lets also work on trying to counter negative tactics from our remaining opponents!! Why are the players disobeying the coach’s instructions?What is the coach doing about it? If Luke didn’t show up for the party as alluded to above and in other media, why was Shakava not played? Is he having an injury or was it squad rotation? Why is it that I find this argument that it is okay for Gor to draw or lose because other teams are also losing and drawing too pathetic and defeatist? Those are other teams, this is Kogallo Chuor Mon. We have a strike force costing 6 million or upwards. The coach is handsomely rewarded for his troubles, are we mad to expect better results against teams whose whole squad doesnt cost more than 100,000 bob? Tuyisenge and Meddie played together 5 years ago and football has changed since then. Meddie should pair with Agwanda coz they understand one another very well and Jausenge to pair with Black Berry..since Meddies comeback Jausenge is not aggressive for goals. So we should draw or loose because others are drawing or loosing ?…The lamest excuse I have ever heard from Kogallo in 30 years. I would rather be told the team needs a mental coach which is the reality….. Even excuse of lack of depth is silly, haven’t we just closed the transfer window ? If Kogalo stakeholders don’t deal with reality, reality will deal with them harshly . Thank God it is not happening during the “Politician’s” time. Otherwise there could have been loud voices telling him to leave coz he cannot control the dressing room. For FN, his salary was displayed on social media so as to compare it with Baraza’s salary then! Why are we handling Ze Maria with paediatric gloves? And during sport pesa feud about “goons” Jasego and a few non partisan bloggers told us that football is fanatical, but the Yes team were quick to ask fans to take alcohol in their own houses and keep of the pitch. Now the fitness trainer did the same and we are quiet. The good book says that we should do unto others what we would like them to do to us. I rest my case. Kwani this Gor of ours is made of steel? It cannot lose or draw in a game where there ae three outcomes. Whoever came up with the word ‘upsets’ or ‘underdogs’ didn’t take Gor into account. @Dan you are one blogger I got loads of respect for, kindly admit there is some problem that needs curing. Apart from the 2-0 win against Tusker, we have not been our best selves even the game against Sofapaka at the end of the first leg was uninspiring even though it was a 2-0. Remember how those goals came about? Against Thika we got lucky in a span of 4 minutes then almost threw it away. The last two matches speak for themselves. Danico when Barcelona play Eibar everybody expect Barcelona to win, including Eibar themselves. When that does not happen it is called an upset. Very rare and always leads to a lot of anger and sackings all over the world. It seems upsets and Gor Mahia are becoming synonymous? If players are not following the coach’s instructions, two things come to mind. One, there is a silent revolt by the team against the coach I.e. Ze Maria has lost the dressing room or the players have realized the coach’s methods are not working in the Kenyan context. Those who never want us to question Ze Maria please tell me if there is a third possibility why players are defying the coach!!!! 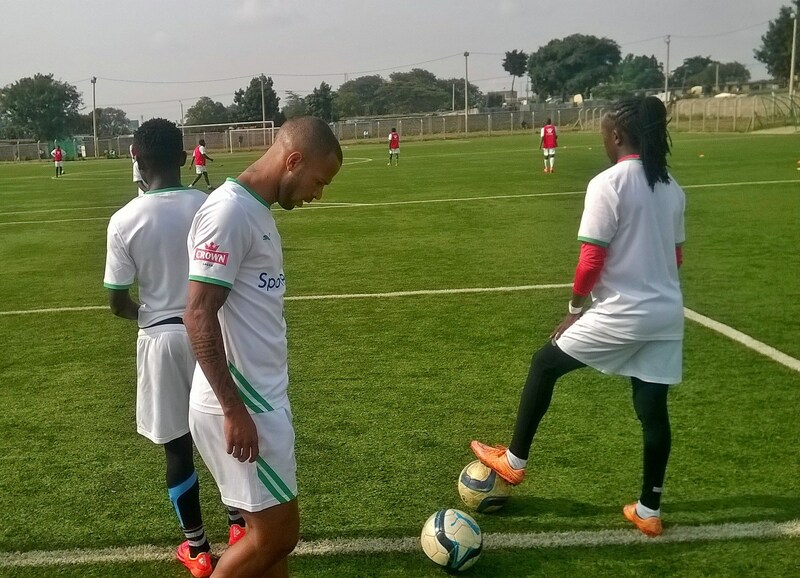 Gor’s next game will be against City Stars, a team that taught Ulinzi how to play soccer last weekend. They have short effective passes and a deadly midfield reminiscent of the samba tactics. My day has been cursed by hearing Jerry feigning comfort simply because Tusker & Mathare also drew. Mr Jerry, Gor drew 2 consecutive matches against teams that are not vieing for any trophy. The draw would have been ‘excusable’ against Mathare or Tusker. Do not abuse our fanatical devotion by forcing excuses down our throats. We pay gate fees. We sing and dance in the stadia and along the streets while supporting our team. We travel with this team from Mbaraki to Mumias Sports Complex. Even when the squad is down, we sing and shout so as to urge the players on. Mr Jerry, don’t take us for kindergarten kids by shamelessly telling us that ‘Tusker and Mathare are also drawing’!! This is Kogallo, a team that won the league last year unbeaten with several games to play. Do not force submission into us, we are still commandos. Ze Maria yours is a long term/development strategy and i urge you to really meditate if its possible with the current crop of players. You & EC let the transfer period pass. Of course short passes will work in training & against the butterflies and supaloafs where there is less pressure but will be a challenge against competitive SPL teams/coaches moreso the top teams. Finally nobody minds a draw or even a loss BUT WHEN FOR AN ENTIRE 45MINS OUR TEAM CAN’T EVEN MANAGE TO TEST THE OPPONENTS KEEPER OR CREATE CHANCES. THAT IS A LUCKY DRAW FOR US I WOULD RATHER A UNLUCKY DRAW EG THEIR GK DENIED US VICTORY. Ok actually we have a serious problem with our midfield and looking at the options we have, i there is looming problem because Wendo seriously isn’t a box to box midfielder who can contain a serious opponent. What about this Chrispine Dulo thing where is he? did he signed for Gor and if he did sing, where is he ?? I now have my doubts if all those who comment here are Gor supporters. I doubt. Real supporters cannot be so harsh against everybody and about anything and everything. I can see people out to kill the team spirit and upset the mission of retaining the title this year. When I look at the tones of some comments here, someone is surely on a sinister mission. It cannot be just about team performance. @jathur gi ji, what is it that has been said here that is a lie? We have been complaining about team perfomance, then Kagere comes and says they got complacent against Homeboyz. Soon after Ze Maria himself comes to say players have been defying his instructions. We have complained about the midfield, Ze Maria comes and says he needs to fine tune meaning he recognizes the problem. Seems we have been right all along. If for pointing out mistakes makes us have a sinister mission the same can be said about Kagere for saying they got complacent against KK. With all due respect my brother and fellow fan, do not expect everyone to agree with your worldview. Nobody has insulted you if I remember on this site to warrant you taking leave. It will be a loss without you on this blog.I am as loyal and diehard a fan as you!!! Omera we apana kasirika ivo. Hata mimi jusi nasema natoka mi nikasema siwachi kwa mutu. Kama we napenda gor fanya kitu Nafurahish we. Ngato nono ashajua mor ikawo mor ok mi ngato. Ndik ne Kogalo ka pod wngima tho luro. Haha Pmawego, karibu its been a while and you’ve just expressed your opinion about ODUOR12? Ooh Laa la..! !…… @Okewkanango”… POD WANTIE NA HATUBANDUKI KAMWE………………. “…Jomoko awinjo wuoyo giwuoyo awuoya kendo gisemi BABA ; donge an akwerou ga K’Ogalo wuon timbe tolocho nyaka giko”……..”Moko bende goyo koko giketho wakati girumamingi sana”…..
…”Sunga, fitina gi nyiego to kelo chandruok ei GOR ka jaka BABA donge ing’eyo. I REST MY CASE. Tibim. Hapa lasma saa inggine mabros wanadhaw. Lakini watu go tee jokangato. Wanapendana tena.Ambiaga kina Jathrji wakunywe pombe kidogo. Jokongo chuny gi leer. Wan ka wasemuro lewwa to ok wapar gik ma nyoro.Jo chae ema chuny gi chuok nikeny wenge gi ler. Sisi saa ingine hapana soba . Saa iyo nangalia tu nikiona mutu naita jina ya ngato nono narudisha na Tibim. l knewit was just a matter of time before fans vent their anger going by the current performance. Omera Ze maria this is Gor mahia, the faster you get your act together the better coz this is the only team where fans sacrifice alot to attend matches be it Mombasa/Kisumu. lt’s also the Real Madrid of Kenya where players are signed at exorbitant amount of fee and therefore wet demand serious performance and results and on this Ok wasechi. Kindly ata kama wewe ndio coach field players on merit and where is the midfielder who was signed from Finland or he has transfer issues from his parent club na hatuambiwi. EC come clear on this signing coz we are in darkness otherwise l wish Ze maria well as he tries to find his footing lakini jua hii Gor ni team ya pressure and you must be ready for that. Coach more good work please, tire not. Tom Ogweno knows the ugly antics deployed by these Kenyan “coaches”, So we should always be working on a solution to that, foul cries won’t make these “coaches” change. After all their main agenda is always to frustrate Gor Mahia and the more they do it, the better for them. Captain Jerry, I had to read again the comments you spoke. Really, aren’t we done with this KPL thing? I really think we should be putting our minds on the African Football Scenes. But if we can play in such ways with teams that were promoted to a mere kpl yesterday then what will be the display when we play the very young Azam? How can we manage to play against the Esperances and the Alhalys of this world? A draw isn’t bad, we all know and understand. But how we play really portrays a lot. We can’t afford to be celebrating loudly when Tusker loses a match than when we win, just because we are soon “catching up with them” or “Closing the gap”. NO! Just a flashback, the match between Gor Mahia and Mathare Fc just before going to the Ceccafa. They scored ahead of us. We equalised in the dying minutes. But almost every one was satisfied, and some even didn’t realize it was a draw, why? The game itself, how we played, how we piled pressure on them throughout, how we attacked with vigour. We couldn’t just be happy with a draw, but with how the players fought for it smartly. And when we went to the Ceccafa, the morale was at high notch! Now imagine going to the Ceccafa after drawing against kakamega Homeboyz and ushuru fc? No. Skipper Jerry your comments should give us some future hopes. Even the Coach was disappointed. So the draws haven’t been normal ones. All the best Coach and Players, hoping for the best way out. The tendecies of Football the world over seems to reflect in the same way. This some how makes the game more breathtaking especially as it heads towards the end of the season. The EPL that most people keep up with Kenya shows this a lot. It gets to a time that most obvious things just do not happen. The big teams either loose or draw with teams people would have expected them to win. The anticipated widening of the gaps at the top somehow just seem to stagnate. I am therefore not surprised in our case. As to the Coach saying players did not follow instructions every coach does it. I think something just happens and things are forgotten. As to some teams resorting to negative foot ball, is very unfortunate and detrimental to good football. In fact it shows how shallow and bankrupt that particular team is.Players should always be challenging themselves to play all the times not just for the team they play for but also for their own career development. Why play badly just because one wants enjoy the spur of the moment. Why maintain the status quo when there is a possibility of doing better? As for K’ogalo players, I encourage you to learn and follow instructions as much as possible and the sky is the limit. Otherwise we appreciate each one of you. @Jaupanda,your comment is simply constructive.I think that is enough for me today. eish.atleast @musyamo hav not commented on your post,ienjoy reading comments here and hav learned there are pple who puts others down and those who uplift others.there are know it all and those who would say “what if we do it this way and wait for suggetion even when the suggetion is not palatable with his idea”.the truth of the matter is gor is not playing well of late.zemaria should make us START winning.by the way are some of the players subotaging the team? it do happen. only athot. @Dawaplus during such trying times, speculations abound so even that thought of sabotage may not be far fetched. Howeve, sabotage for what reason? Why would a player on a negotiated salary sabotage the team? Let us hope that is not the case. Ukweli ndio inaumiza watu Hapa.musymo is just arguing objectively. @dawaplus, what have I done to warrant your insinuation?Kindly read through all my posts, then tell me when I have put anyone down, even as I wonder what you mean by that? All I am doing is posting my OPINION, what I post necessarily is not gospel truth but just what I think. I think that is what this site is for so that we debate, argue, mourn in tough times, celebrate when we slaughter other teams. I wonder then what you propose we post here so that we dont put others down or be ‘know it alls’. It only happens right now that we are not performing and apart from the ever optimistic expect people to be angry and nerves frayed. We beat City Stars on Sunday, I will be among the first to congratulate the team and the coach, one who I respect very much and has said so a million times right here. So kindly dont put me down my brother, wach mana pachi e I abila kae, even the sabotage claims you are making. It is what you think and even though I highly disagree with you on that, I will repect your right to think and allege so!! !